Hello world, I am ANDarms a systems engineer who recently entered this world of fan games. Unlike many, I just know about the Pokémon's games since 2014, because in this region of the world the Pokémon's games are not so popular especially in the town where I was born. I started trying to learn the rom hacking but after seeing many videos, reading in forums and trying a lot of things out for myself, I came to the conclusion that rom hacking is a nosense, it's a lot of work, many hours that can be spent doing something much better. I know that many here are rom hackers and there are awesome games made with this technique but the problem is that it's something very outdated and not practical and I say this from the point of view of a systems engineer, I write code all Days, it's my job I'm a web developer and the rom hacking violates all the principles of good code that are taught us as programmers. (KISS, YAGNI & DRY). Maybe when this practice started, the games were new, it was understandable to use a hexadecimal editor to change the game code. But today I consider it stupid and very limited. But to my surprise RPG Maker MV changes ruby by Jascript and gives us many more possibilities, like exports the games to mobiles devices. 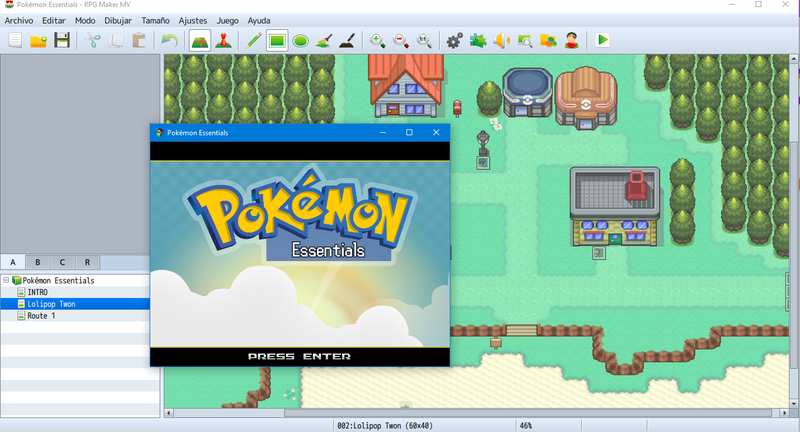 First when i was using only javacript and phaser, i was trying to reinvent the wheel because i dedicate many time toi make a RPG engine while using the new RPGM MV i just have to worry about the part of implementing the mechanics of the pokémon´s games. I have been working on a project for several months that I hope will become the version of Pokémon Essential for RPGM MV and unlike the many projects that you can find on the internet I think I have a good base to become something big. wait for more News about this soon, for the moment I leave some Screenshots. Brand spankin' new to the Relic Castle, just found it today and am already loving this little community. Been a poke-nerd since I was five and first saw it in a friends magazine and only just recently gotten into the fan game scene. 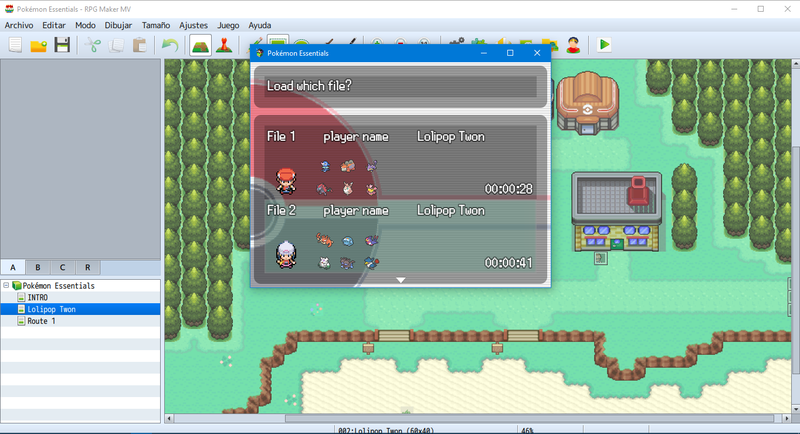 I messed around with RPG Maker XP about four years ago and just got inspired to work on my own after playing a bunch of ROM hacks and fan games with friends over discord. Never gotten further then making my own route and city but I'm super pumped to jump back into the beast and see what I can churn out. I'm currently working as a game designer, so my time put into this project will likely be snippets here and there but I will be working with a group of friends who will be contributing to all aspects of the game so I'm excited for that as well! Hoping to pick up some good coding practices and team collaboration, probably going to start with a 'learning what I can do' project before jumping to higher aspirations. 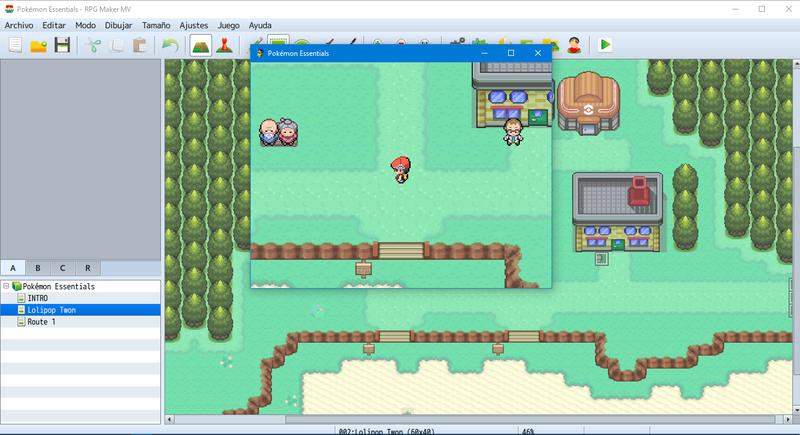 I've always had some crazy ideas for different directions to take a Pokemon game in, but for now I'll take my baby steps and get to know the whole process before going all nuts. Yooo, everyone! It's been, like what... a year? More than that? I had just finished up something and thought "...Huh. 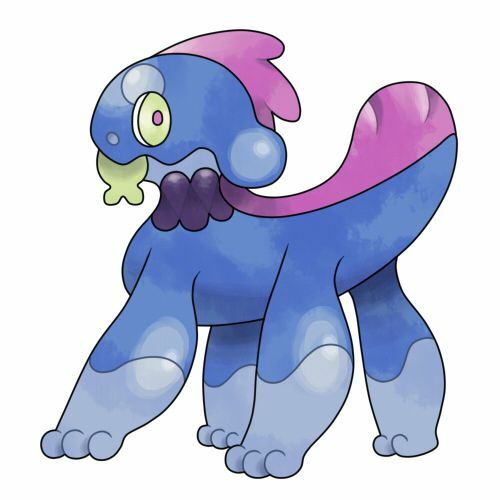 Haven't thought about Pokemon Opal in a while..." so, I took a trip down memory lane in the old Forms (I didn't even know about the relaunch until two months ago!) and I saw a reflection of my younger self. I... probably haven't changed much since then. ...Maybe. ANYWAY! It's been a while, but for those who don't know me; HI! I'm Kawaiiski. 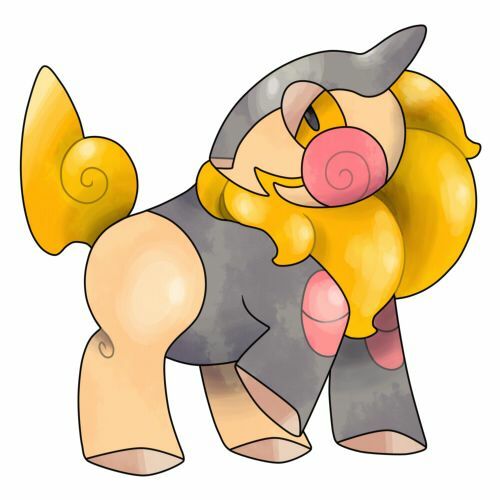 I'm a fairly active artist who used to work on a Fanmade project called Pokemon Opal from what seems like a LONG time ago. ...It's kinda weird now, being here, seeing Pokemon's new Gen (I own Pokemon Moon also), and thinking "Wow. Did I indirectly predict Sun & Moon being based on Hawaii? Because my region was also based on Hawaii... weeeiird." Yup, redrew my starters. I still have a bond with them despite the, admittedly, somewhat disastrous cancellation of Opal. (Also, just a side; loving the new site and functionality! I hope I'm doing this right. Also, I use ImageShack now and not dumb old Photobucket. Just... thought I'd mention that.) TBF I drew these months ago, but still; what I wouldn't give to have a playable demo of Pokemon Opal just appear out of thin air. ...Buuut, I can't work on it. I have other priorities, now; something I can ACTUALLY DO on my own. Yup, not taking anymore of that BS of trying to develop my "First Indie Video Game" or whatever; now it's something I can feel good about, and can still have the capacity to try and finish. Admittedly, it's something once again that's exists to help me improve, but it's also something I feel passionately about, even more-so than Pokemon: STAR TREK. Maaan, Star Trek's amazing, but I won't get into that, cuz talking anything but Pokemon on this community is probably Treason. Pfft IDK how it works anymore, I'M OLD ALRIGHT. I turned 25 this year. Not recently mind you, BUT STILL. ...Aaand now I'm rambling, and am probably no longer funny to anyone else besides myself. Erm. That aside, I'm working on a Fanmade Webcomic on SmackJeeves, now. Yup, still sticking to my roots of Fanmade projects. ...I'll grow out of it one day. I also have a Patreon! ...That no one has backed yet, but I had faded into obscurity for a while for personal reasons, mental health, and other crap that I'm trying to make a breakthrough with now, ssooooo... yeah. Things have been... well? For me? Not entirely sure whether or not the same people are still around RC these days or not. Saying that, though, I may come and hang out every blue moon, or so. I try to lead a busy lifestyle, as always. Waddup guys, long time no see. No clue who's still around from my first couple 'o times around the block here. How are allayall doing? For those who don't know me, which is everyone I guess, I'm Ice. I sprite, and I used to do some stuff in RPG Maker. I'm not great at either though. Greetings, I found this place by complete accident and thought it looked pretty cool. So I made this account and that's about it. I really like the main series pokemon games and always wanted to make something. I'm also an internet addict, if you will. Maybe someone will recognize from somewhere else? There isn't much else to know about me, thanks for reading this and I hope you have a nice day! Hey I'm Klearstorm. I joined yesterday after finding this site in an article about pokemon fangames. I'm learning the ropes of rpg maker xp and pokemon essentials right now so I hope I can entertain you all with my creations soon! It's been a while since I joined RC and haven't posted my intro since then, so here it is. Hi, I'm Godric. 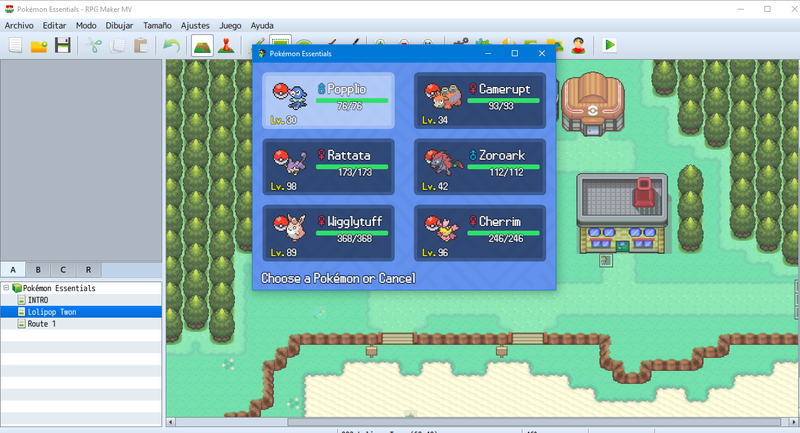 I have been playing Pokemon fan games from last few years and since then I have a feeling of making my own, but never really get started on creation and then I get to know Pokecommunity and Relic castle and other forums and both of them helped me a big one.. From last few months ,I have been working on my own game.Interestingly, By creating fan game I learn more about it(than just roaming around). 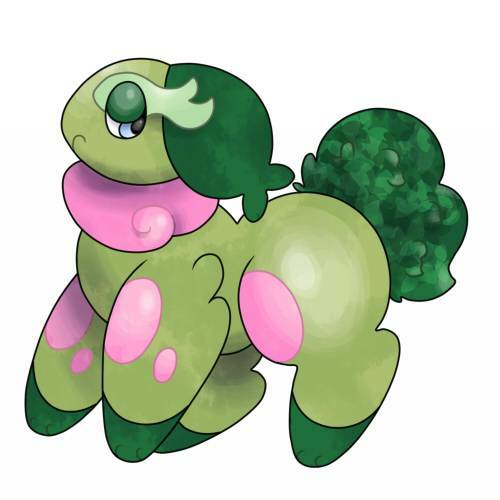 And reading development articles of Pokemon PR, Uranium(in oripoke and reddit by IT) and Prism(in RC) that inspire me to get on work again whenever I fall down. As I said I'm working on a project (but it's not just me , the whole community is there for helping out). And it's real that creating a one finished title is a big task(even, I haven't finished one ), and I don't want first fan game to my last one, so working hard for it's completion (And might see my project thread soon few months later). Hey there, the name's Karyon, and I'm a newcomer here. It's been a long time ago that I'm like a "guest" in the RC Community but since I register myself and really join the community I must introduce myself..
Hello everyone ! the name's Nicest Azelf (call me by this name please :)) and I'm new here, in this awesome community which is called Relic Castle... I guess it's the right name haha. 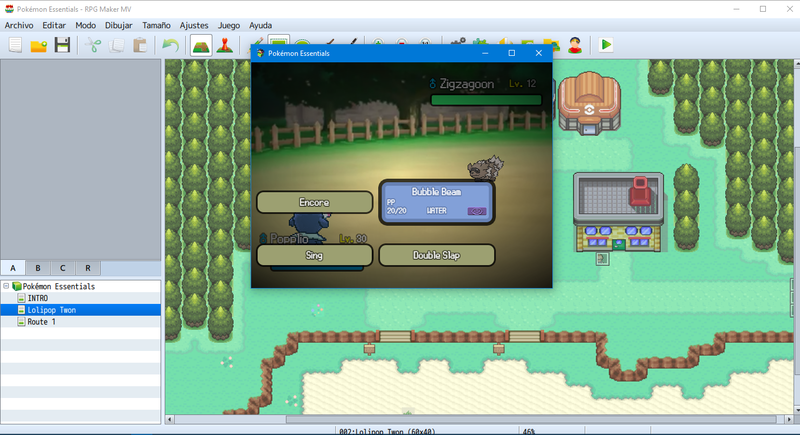 I'm also new in Pokemon game building, this is the reason why I'm here, there are some good people here that can help you if you need something like basically fix an error or something else, I think people are nice here, this make me happy. I'm also here to share some ressources or tutorials in the future for helping the community. I love this community so I made the choice to join it. I forgot something else... English is not my first language so I may do some grammar mistakes or thing like typos. Hello! I've been a user here for some time but I still haven't met you. Anyway, my name is Kostas. Since I'm doing ROM hacking, I don't post that much here. Tbh everything I post is about a new map/screen I made haha. Anyway, it's great here and people are helping me a lot, even if I don't post often. Glad to meet you! Supsup! I've used Essentials quite a lot in the past, but it's been pretty long since that, so I'm not used to the newer versions. Hopefully this time I'll end up making an actual game and not starting 10 projects without any results. Hi everybody! I'm Dechozen101, but people usually just call me Decho for short. I sprite for a fangame called Pokemon Palladium I'm working on with friends I met from talking on other fangame communities and discords. 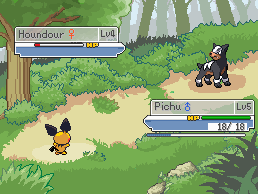 My pixel art works mainly include reimagining Pokemon as different types in the gen 4/5 style, but they're pretty mediocre right now. I'm still new, but I'm a fast learner who's looking to improve. That aside, nice to meet you! This is just a formality, I used to be on this forum way back but I just recently found it again. Having finished school and just work i figured now is better than ever to pick back up spriting etc as a hobby. I am currently typing this on a Mac, and if you didn't know that means I probably wont be working on any games as RPG maker isn't available on MacOS. But I am an employed Graphic Designer with pretty good knowledge of the Adobe Suite and Technical Schooling under my belt so if anyone needs design work done, I am available. Glad to be back, and It's good to see Aki as a Admin. Hey all, am mustafa505, I like to draw pixel art and I mainly do Pokemon Tiles, am learning to sprite too. My main focus in on my fangame which I hope I'll be able to complete, currently I am working on it alone but love to have friends who would want to give out their opinions about it. This is my first project so I won't be going to rush things up. I used to be on Pokecommunity but currently inactive from it, but I hope I'll be an active player here. "Lost in time, where will you go?" First of all, let me express my awe regarding what all you wonderful people are capable of. I've been lurking in game development and other related forums, for years. I wish to focus on creating a fangame, since it used to be a childhood dream of mine. Now that I have the time to do that, I thought I should give it a go. I'm looking forward to being a proper member! Um.....HI! I guess, ^-^ My names Joshua or Josh whatever don't mind and I'm new to the forum, but I'm an experienced mapper and rom hack developer! 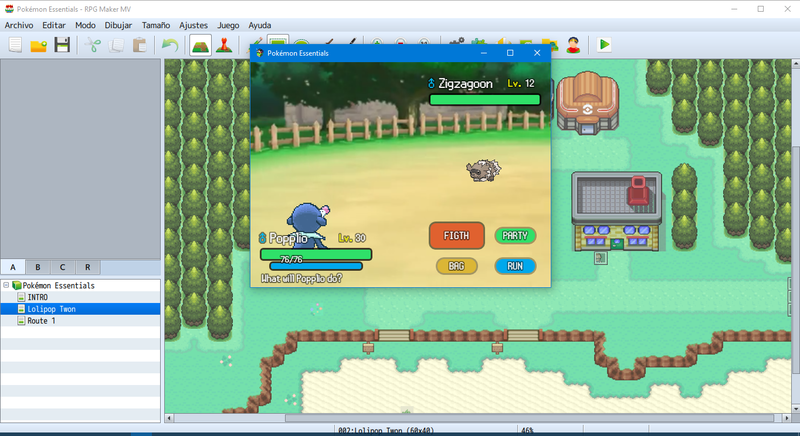 I'm here to make new friends, meet new people and create fun rom hacks so nice to meet you all! I don't much sure what to do here, and I think I no need to write loooong sentences to introduce myself. But, whatever. I'm basic programmer, I love math stuff. And you can find myself in both of Scratch.